The Richmond Regla, Cuba Friendship Committee presents a timely double feature of films by prize winning Cuban Filmmaker Gloria Rolando, whose career spans over 35 years at the Cuban National Film Institute. Ms. Rolando also heads an independent film-making group, Imágenes del Caribe, based in Havana. East Bay Center for the Performing Arts. Two films /two perspectives on the hope and tragedy of immigration to Cuba. Reembarque / Reshipment, 2014. Gloria Rolando's latest film The story of Haitian immigrants to Oriente in the early 20th century and their forced repatriation after the sugar market crashed. With English subtitles. 58 min. 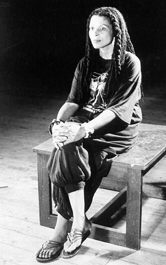 A rare chance to see "Eyes of the Rainbow," 1997, a film on Assata Shakur, the Black Panther and Black Liberation Army leader who took refuge in Cuba after years of struggles in the US. 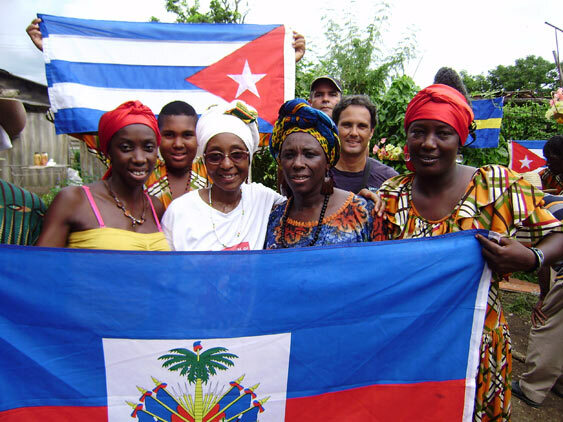 The film integrates AfroCuban culture, including the Orisha Oya, to show Assata's context in Cuba, where she has lived for close to 20 years. In English. 47 min. This film is no longer commercially available. This event is a fundraiser in support of new works by Gloria Rolando and Richmond Regla, Cuba Friendship Committee projects.